I have always loved celebrating my birthday. I guess it is really just a great excuse to get together with family and friends and celebrate life. As I get older (and I will be 52 in a few days time), I try and reason with myself. You are too old, too tired, not well enough, it will be too much work, and then something happens to remind me why we should celebrate our birthdays. Last week I listened to Facebook CEO, Sheryl Sandberg’s commencement speech at the University of California, Berkeley. Sheryl Sandberg is a fabulous woman in my opinion, and has shown just how strong she is following the death of her husband just over a year ago. In this speech she is very honest and quite emotional about the shock of dealing with his sudden death and how she has coped. Choosing joy over sadness can be really hard, but the rewards are immense. I urge you to listen to the speech which you can do here. Her honesty about pain and hurt is so real, but so is the message that we can continue on. We do not know what is ahead of us, but what I do know is that my riches in my life are in people, my friends and family. A birthday party – why not? 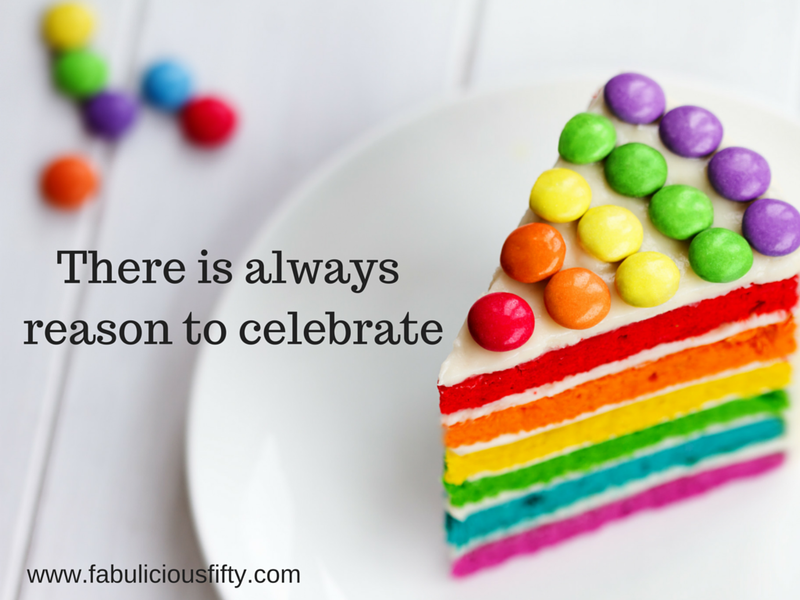 It is a great excuse to celebrate life and to focus on gratitude for what we have experienced this last year. I have decided that this year I will simply open my home, and spend quality sofa time with wonderful people. It is an open invitation to if you would like to join in, please message me. I have chosen to celebrate on 6 June which is a day early, but as it is a bank holiday it will be lovely and relaxing. I urge you to use any excuse really to celebrate and spread joy.